On an average day, an estimated 200,000 commuters traverse downtown Toronto’s underground pedestrian walkway, the PATH. While 1,200 shops­­­ and services can be found along the 30-kilometre passage, one store in particular hopes to offer something unique over the holiday season. In the basement of the Hudson’s Bay department store on Queen Street, nestled beside its Foodwares Market cafeteria, shoppers will encounter Ben McNally’s Cookbook Shop. 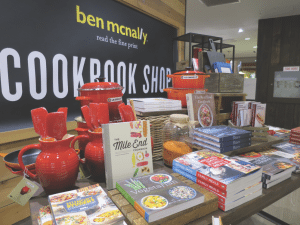 The pop-up shop – a partnership between retailer Ben McNally Books and Oliver & Bonacini Restaurants, which runs the Bay’s eateries – launched in mid-September, with plans to remain open until the end of the year. When first approached by O&B, McNally wasn’t sure it was a viable business option – or necessary, for that matter, as his Bay Street bookstore is located right around the corner. But the retailer is always on the lookout for partnerships outside the publishing industry, and O&B’s enthusiasm and potential made the opportunity hard to turn down. Aside from the retail space, O&B also runs a kitchen area in the building that Trudeau hopes to use for author events and cooking classes. McNally says he couldn’t be happier with the partnership. “They’ve brought spectacular exposure for my store to people who might not raise their head above the ground,” he says. McNally also credits O&B for its merchandising techniques, displaying his cookbooks alongside brightly coloured vases and high-end Le Creuset pots. Although McNally has always carried a selection of culinary titles, he had to beef up his cookbook knowledge when longtime specialty retailer the Cookbook Store shut its doors in March, bringing an influx of customers to his bookstore in search of the latest Jamie Oliver and Mario Batali titles. 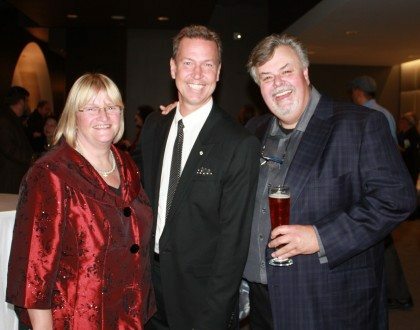 “It’s like when TheatreBooks went out of business, we suddenly had to pay attention to plays,” he says.